Ernie Paustian is the founding principal of Delta Appraisal Corporation. His real estate experience includes mortgage financing, residential and ICI real estate appraisal and property management (condominium, residential, multi-family, office, retail and industrial). In 2000, Ernie entered the appraisal field with another local firm, later acquiring the AACI (Accredited Appraiser Canadian Institute) and P. App. (Professional Appraiser) designations from the Appraisal Institute of Canada. He has completed the Urban Land Economics diploma program at the University of British Columbia, the RPA (Real Property Administrator) designation at The Building Owners and Managers Institute and the CRP (Certified Reserve Planner) designation at the Real Estate Institute of Canada. Kayle Paustian graduated from the University of Alberta with a Bachelor of Commerce degree. He is currently working towards certification in the Reserve Fund Study field as well as attaining the Certified Management Accountant and Chartered Financial Analyst designations. Gordan Dundas is responsible for the completion of condominium reserve studies for clients in the Edmonton area. He achieved the Canadian Residential Appraiser designation in 1996 and in 2001 he obtained the Certified Reserve Planner designation. He has appraised over 7,000 residential properties, as well as land, condominiums, acreages, and recreational properties. Gordon Graduated from the Business Administration program at the Northern Alberta Institute of Technology. John Anderson is responsible for the completion of condominium reserve studies for clients in the Edmonton area. Mr. Anderson has a Certified Residential Appraisal designation from the Appraisal Institute of Canada and has practised as a real property appraiser for over ten years. Since joining Delta Appraisal Corporation, Mr. Anderson continues to provide condominium reserve studies and real property valuations for clients of Delta Appraisal Corporation. 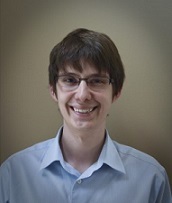 Mr. Anderson holds a Bachelor of Science and a Diploma in Education from the University of Alberta.